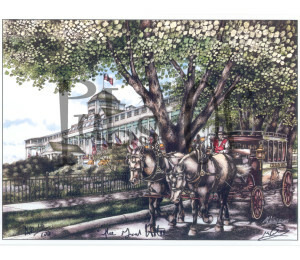 12 x 18 print of hand painted image of the Grand Hotel on Mackinac Island. SKU: GRHOTMACPR. Categories: Mackinac Island, Print, Print, Town. Be the first to review “Mackinac Island Grand Hotel” Click here to cancel reply.